DR. CHARLOTTE HUGHES HUNTLEY: I chose Walden over other schools because I completed a Masters degree with Walden back in 2010, and continued with my PhD because of that. Faculty members are fantastic. They're wonderful, supportive, real people. I've made a promise to be a very active alumni. So I want to encourage other people to pursue their educational dreams and further their careers, and just reach out to the community and really apply what I've learned and, really, to make things better and improve health. 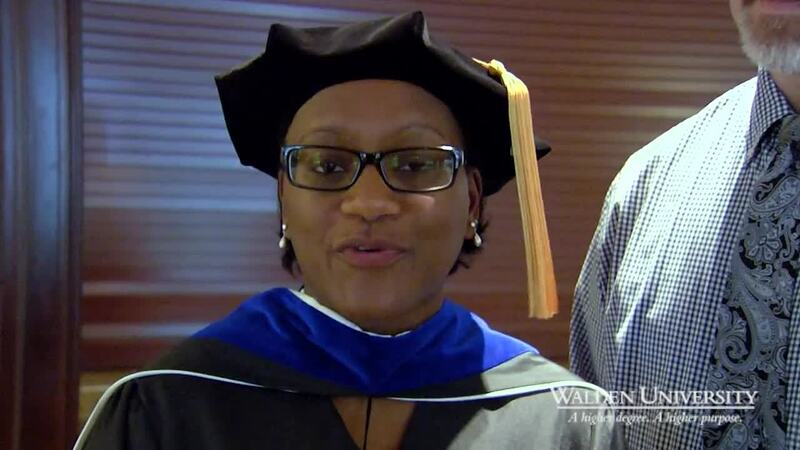 Dr. Charlotte Hughes Huntley, a PhD in Health Services graduate, chose Walden University because of the faculty and the university’s support throughout her journey. Because of her experience, she plans to stay active in the Walden community.